FFA - Hampshire College restores American flag to rightful place. 5,000 emails from Florida Family Association supporters to Board of Trustees and Officers made a difference. More than 5,000 people sent emails urging Hampshire College Board of Trustees and Officers to return the American flag to its rightful place. Florida Family Association sent out email alerts on November 28, 2016 and November 29, 2016 titled Hampshire College bans flying American flag so it can focus on halting Islamophobia, promoting gay rights. 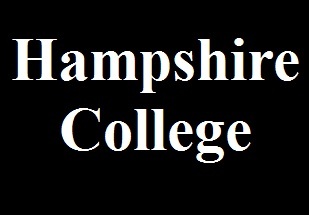 The email alerts encouraged people to send an email that educated Hampshire College Board of Trustees and officers regarding the negative influence of alleged Islamophobia educational campaigns on public safety and urged them to return the American flag to its rightful place. More than 5,000 people sent emails to each of Hampshire College’s nineteen Board of Trustees and four Executive Officers as of December 1, 2016. Additionally, over a thousand people waved American flags in front of the college campus on Sunday, November 27, 2016 to protest removal of the flag. Masslive.com reported on December 2, 2016 Hampshire College raises the American flag Friday morning.